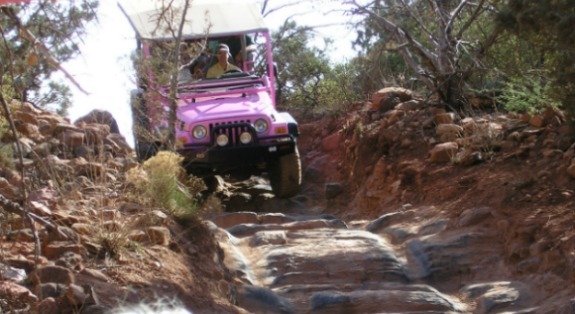 Enjoy One Of A Kind Arizona Family Vacations! The fact is, perfect Arizona family vacations have everything to do with plenty of activities for both the youngster and the young at heart! Let us help you with some of the most popular vacation attractions in our beautiful desert home we call Arizona! We will make it easy for you to search some of the most popular hotels right here at your fingertips. From the Grand Canyon, Tucson, White Mountains, Bisbee, Yuma, Sedona, Lake Havasu, Flagstaff, Scottsdale, Indian reservations, and of course the obvious… Phoenix, relaxing as well as exhiliarating Arizona family vacations can be discovered anywhere in the state where your family can enjoy all the magical wonders that our state has to offer. OK, ready? Let’s get going….. Think like a kid for just a moment… you already know that you need to have some activities planned for the kids while at the same time you, the kid at heart has a little fun too! What's The Secret For Perfect Arizona Family Vacations? The secret to perfect Arizona family vacations is to first, THINK LIKE A KID! Next, having a variety of activities for the entire family to do will make everyone happy! Arizona Grand Resort and Spa is a great choice for the entire family, especially if you need water to be part of the equations during your stay. This resort is actually the state's only AAA Four Diamond and M&C Gold Key Award winning and all-suite resort. It is a great choice if you are looking for a place that has pretty much everything on site, including a luxury spa, 7-acre Oasis Water Park, six restaurants, salon, very roomy athletic club with plenty of workout stations, and an 18-hole golf course to top things off! I have personally stayed here myself and would recommend it. The suites are quite roomy and offer enough privacy between the rooms. Grand Canyon Railway: Everyone loves trains and this ride could just be the most memorable one you will ever take… experience the nature on your way to one of the Seven Wonders of the World, none other than Grand Canyon. And speaking of the Grand Canyon, there’s a long list of things to do if you choose to visit. Arizona family vacatations offer some of the most unique and even customized guided tours that will take you deep into the canyon itself. There are also helicopter tours, airplane tours, rafting through the canyon and the old standby, looking down into the canyon at the various designated sites. Mine Tours: Mine tours are a great activity for the whole family. 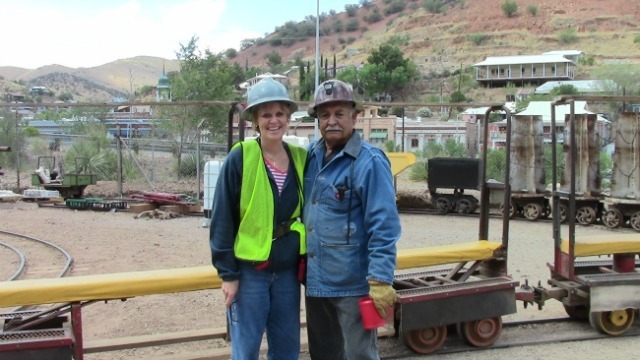 Yours truly took a mine tour down in southeastern Arizona in Bisbee and I would highly recommend it. Experience some of the most impressive collections when these old time mining towns were the heart and soul of towns. If you like to explore history, consider the mine tours throughout the state on your next Arizona family vacations adventure! Ghost Towns: With more than 275 ghost towns, you won’t have to travel to far to visit one of these towns representing the times gone by…. You will find them primarily in the northwest central and southeast regions of the state. 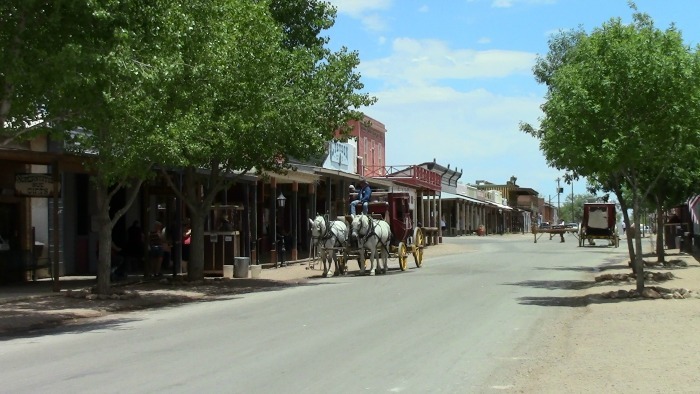 Tombstone: Known as the “West’s Most Famous Town,” Tombstone is an Arizona family vacations attraction if you are looking for a fun-filled day for the family. Learn about the history, take a horse buggy ride down main street while taking a step back in history through the streets as they once looked. Watch the daily gunfight at the OK Corral as they once were played out in real life between the Earps and the Clantons. Sedona: Take in the beauty with a Jeep tour, airplane tours, camping, hiking or one of the many nature hikes offered in this glorious area whose red rock formations will leave you speechless if you have never seen them. Enjoy fishing, horseback riding, and Native American history and the two state parks! There’s plenty of activities here if you are in search of Arizona family vacations that are truly very specia... Sedona is a world famous vacation location. Explore Sedona, the town that offers plenty of reasonably priced hotels at some of the finest resorts with golf courses. Goldfield Ghost Town (Apache Junction): Although it may look a little too contrived these days, Goldfield really was a mining town at one time. Today, you can take a tour of the old mine, learn about the legend of the Lost Dutchman Mine, and otherwise have a thoroughly Wild West experience. 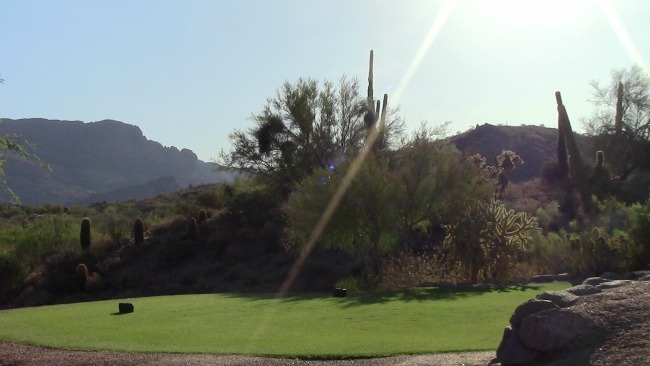 If your Arizona family vacations need to include some of the top breathtaking mountain views AZ is known for, then consider traveling to this area during your next Arizona family vacations excursion... I may be partial to the area since I live nearby, but believe me, the Superstition Mountains near the Goldfield Ghost Town, will not be a disappointment. There are plenty of hiking trails nearby as well as Jeep tours, golfing, and lakes. Arizona-Sonora Desert Museum (Tucson): This is actually a zoo featuring the animals of the Sonoran Desert. Exhibits include rooms full of snakes, a prairie-dog town, enclosures that are home to bighorn sheep and mountain lions, and an aviary full of hummingbirds. Kids and adults love this place. Old Tucson Studios (Tucson): Cowboy shootouts, cancan girls, and horseback rides make this old movie-studio set loads of fun for the family. You might even get to see a movie or commercial being filmed. Shootouts at the O.K. Corral (Tombstone): Tombstone may be "the town too tough to die," but poor Ike Clanton and his buddies the McLaury boys have to die over and over again at the frequent reenactments of Tombstone's famous gunfight. Saddling Up on a Dude Ranch: Ride off into the sunset with your family at one of Arizona's many dude ranches (now called guest ranches). Most ranches have lots of special programs for kids. Floating on a Houseboat: Renting a floating vacation home on lakes Powell, Mead, or Mohave is a summer tradition for many Arizona families. With a houseboat, you aren't tied to one spot and can cruise from one scenic beach to the next. Lounging by the Pool: While most Arizona resorts are geared primarily toward adults, there are a handful in Phoenix and Tucson that have extensive pool complexes. The kids can play in the sand, shoot down a water slide, or even float down an artificial river in an inner tube. Let's Not Forget Phoenix for Your Arizona Family Vacations! The capital city, Phoenix, offers visitors the best of both worlds. If it’s nature you are in search of, it’s there. You can hike many parks in the heart of the city or hike various mountains such as Camelback Mountain which is a very popular point of attraction. There are cultural museums such as the Heard Museum and Desert Botanical Garden. The Heard Museum will literally take you back in time for centuries with the Native American culture. Oh, and the Phoenix Zoo is also a popular venue… get close with animals from around the world. Yes, (believe it or not) we have plenty of water activities and plenty of lakes and rivers for you to enjoy your Arizona family vacations. Thanks to the Arizona Game and Fish Department, your vacation location surrounding the Phoenix area offers fishing lakes and ponds within various city parks. This is perfect for both residents and vacationers alike… especially good for those who are visiting in one of the many Phoenix resorts and Phoenix hotels. If you have the means to travel to some of the nearby big lakes offering water skiing, boating, including tubing, jet-skiing, fishing and boat tours, there are several from which to choose from. 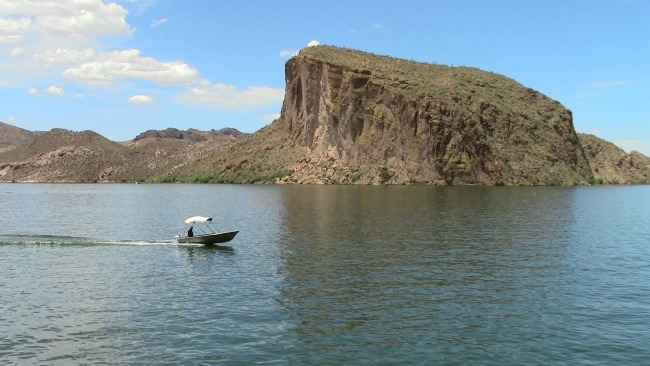 Choose from Apache Lake, Bartlett Lake, Canyon Lake, Lake Pleasant, Saguaro Lake and also Tempe Town Lake, which is a man-made lake but very popular for visitors and residents alike. Something for the whole family is one of the newer attractions, known as Butterfly Wonderland! (Just outside the Phoenix area in Scottsdale). Butterfly Wonderland is an indoor attraction offering a very unique experience that will make you think you really are in the rainforest! Feel and experience the wide variety of beautiful butterflies (I really liked the bright blue colored butterflies…. Piercing blue!) located within the Salt River Pima-Maricopa Indian Community, home to the largest butterfly pavilion in America. You will love the brief 3-D theatre presentation prior to entering the indoor rain forest that these butterflies call home. I highly suggest this attraction. My whole family really enjoyed it. They are just beautiful! I also like the fact that they land on you. Make sure to bring your camera so you can share your AZ family vacations and preserve memories of a lifetime. If it’s the nightlife you wish to explore, there’s a long list of things to do when the sun goes down including clubs, concerts, both indoor and outdoor, such as the Phoenix Symphony Orchestra and many 4 and 5-star resorts and spas to entertain you. Depending on the time of year, we also have the Arizona Diamondbacks baseball team, Arizona United (professional men’s soccer), Arizona Cardinals football team, Phoenix Mercury (women’s professional basketball team) as well as the Phoenix Suns (men’s basketball team) and the Arizona Rattler’s semi-professional football team.